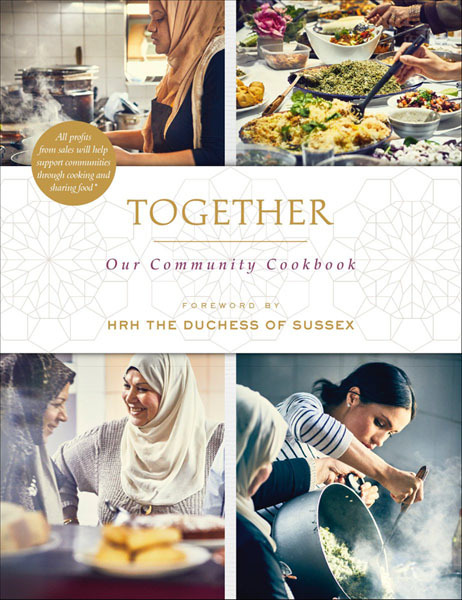 Meghan, Duchess Of Sussex hosted a luncheon at Kensington Palace today (September 20), to celebrate the launch of her charity cookbook, Together: Our Community Cookbook (with a foreword written by Meghan and recipes from a group of women affected by the Grenfell Tower fire), alongside Prince Harry and mother Doria Ragland. This is Meghan’s first project as a royal. The money raised by the book will allow the Hubb Community Kitchen to operate full-time, and serve many in need. I was delighted to see the return of Meghan’s coats. 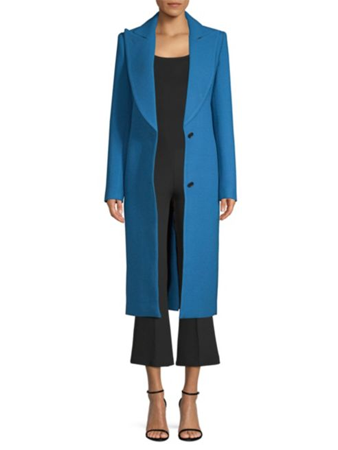 You may remember earlier this year that Meghan presented many chic, inspiring outerwear, and this blue Smythe coat sees the first royal coat of the fall season. The colour is gorgeous; such a regal hue. Her coat was the highlight of the look, with a Misha Nonoo pleated skirt and Tuxe top rounding out the look along with Sarah Flint pumps. Doria was also looking very chic in her camel hues. I’m loving the combo of cashmere sweater, cropped trousers and chic printed scarf. Prince Harry was looking relaxed, taking a step back to allow his wife to take centre stage as this was her moment.